Police are launching a zero tolerance crack down on "boy racers" in Chorley. Under new enforcement powers, police will be able to seize any vehicles suspected of being involved in anti-social behaviour in the town's car parks. A car meet at Friday Street car park in Chorley. Pic-Eddie Smith. Chorley Council, in partnership with Lancashire Police, said the crackdown is in response to a surge in complaints from the community. “It’s most evenings. There are dozens of young kids with souped-up cars. They race around two different loops. It’s been going on for months now. Friday Street and Portland Street car parks in Chorley are being monitored by CCTV as police crack down on anti-social behaviour. In recent weeks, dozens of young drivers have been congregating on Chorley's car parks for late-night "car meets", followed by reports of anti-social behaviour. But as of Friday, February 22, Friday Street and Portland Street car parks will be actively monitored by CCTV on a 24-hour basis. New signage in the council-owned car parks was unveiled on Friday morning, warning drivers that "careless or inconsiderate driving will not be tolerated in this area". Lancashire Police said the new CCTV will be monitored 24/7 and footage could be used as evidence against offenders under Section 59 of 2002 Police Reform Act. Police are warning that "inconsiderate driving will not be tolerated" in Chorley's town centre car parks after complaints about "boy racers". It is part of a wider police crack down on anti-social driving in the area after a number of incidents in recent weeks. A police spokesman said: "Lancashire Constabulary have the power under section 59 of the Police Reform Act 2002 to seize vehicles being used to cause alarm, distress or annoyance to members of the public." Section 59 of the Act empowers police officers and police community support officers (PCSOs) to seize vehicles being used in an antisocial manner. Vehicles can be seized if the police officer or PCSO reasonably believes that a mechanically propelled vehicle is being used in a manner that is "causing, or likely to cause alarm, distress or annoyance to the public". The Friday Street car park meets are organised by Carbon Strips Car Club, a Lancashire-based community of car enthusiasts. Eddie Smith, 20, regularly attends the meets at Friday Street car park. A professional car photographer, Eddie said the meets have been misunderstood and the majority of drivers are "sensible". He said: "I'll be honest, I'm not sure why they want to crack down on the meet. It's a simple event hosted by people who want to have a nice night and enjoy themselves. "We attend the meets to make new friends and just do what we enjoy. "I'll admit, there are some stupid drivers but that's only about 10 per cent. However, the majority of people are there to be sensible and have fun. "People choose to have meetups and events so they aren't on the streets, so they aren't having there projects wasting away when they can be showing them off to people. "Car meets have been happening since the 80s and 90s. What's the reason to stop them now? "I always attend most of them and, yes some people do speed a little and do some burnouts, but it's all in the name of fun. It's what car enthusiasts do. "It's not to be stupid or disrupt the community, it's to simply show off what people have made and to have fun. "Shutting down meets is just forcing people onto the streets, causing more people to act up on the roads. Meets shouldn't have to be watched or shut down, were all adults, we know how to be sensible. "If the Council can't see that then they are stupid." Chorley Council has responded to criticism by claiming the crackdown is "not aimed at car enthusiasts", but those that "drive in a careless manner causing distress to the public". It said car meets could still take place, but organisers must seek permission in advance. 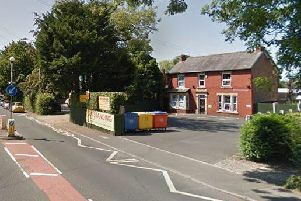 A spokesman for the Council said: "The order is to tackle careless driving which has caused distress to local residents. "With help from Lancashire Police, the new enforcement powers are being deployed on Friday Street and Portland Street car parks to tackle anti-social behaviour. "Both car parks are being monitored by CCTV and offenders will have their vehicles seized." Under the terms of the new police order, car enthusiasts will have to submit an application to Chorley Council for permission to hold an event on council land. The spokesman added: "We have asked the group organiser to submit an event application form, which we ask all community groups wishing to hold an event on council land to do including sports clubs. "The application allows the group to demonstrate how the event is organised and kept safe and what procedures and methods are put in place to combat any issues that may arise."